The functional medicine approach takes into account all the factors of your health that contribute to your wellbeing, energy levels, pain levels, and digestion. The dedicated team at IHS Medical Group offers comprehensive functional medicine for individuals and families in Los Angeles. With more than 20 years of experience, Victor Nazarian, DC, and the team treat you like a person, not a collection of symptoms and provide effective, personalized treatments. Call or schedule a visit online today to learn more. Functional medicine is a branch of holistic medicine that uses advanced laboratory testing to identify disease and health markers. The team orders functional lab tests, involving samples of blood, saliva, and urine, to check your hormone levels, thyroid function, and immune system for signs of disease or inflammation. Based on the findings of your functional lab tests, the team develops a custom plan to optimize your body’s unique chemistry and to relieve your underlying health issues. Functional medicine treatment incorporates the same principles of holistic care in addition to lifestyle factors, including exercise, nutrition, and stress management. You may also benefit from removing food allergens from your diet or adding nutritional supplements to support thyroid and hormone health, reduce inflammation, or combat muscle soreness and fatigue. What happens during a functional medicine consultation? During your initial consultation, you’ll discuss your health concerns and goals with the team. The team then orders appropriate blood and tissue testing to identify any issues you’re experiencing from a functional medicine perspective. These tests may include hormone and thyroid panels, red and white blood cell counts, and markers of inflammation. The team then analyzes your test results based on the information you provided during your consultation. They look for biological markers of stress and disease that are related to the symptoms you’re experiencing. Next, they work with you to develop a plan to address the stress and disease markers found during your lab testing. What is a functional medicine treatment plan? 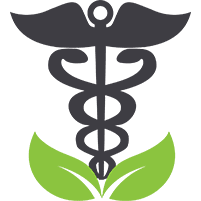 A functional medicine treatment plan incorporates a variety of treatment methods to address your symptoms and eliminate the root cause of your health concerns. Treatment plans may include nutritional counseling, supplementation, or lifestyle management strategies to reduce inflammation – including drinking more water, taking fish oil supplements, or incorporating gentle exercise into your routine. Every treatment plan is personalized based on your unique blood chemistry and health factors. Treatment plans also change over time depending on your symptoms and any differences in follow-up lab testing. To improve your quality of life through a comprehensive approach, schedule a functional medicine consultation at IHS Medical Group, call or use the online tool now.